Solar Plus is a regional effort led by a broad coalition of stakeholders that are working towards tripling the amount of solar energy installed in Washington and Oregon by 2019. Solar Plus is developing strategies that will accelerate market growth and deliver the full technical, social, and economic benefits of solar energy. With an emphasis on job creation, community resiliency and access, Solar Plus seeks benefits beyond installation targets. With strategies that leverage the added social and economic benefits of solar, we will accelerate growth to triple solar generation over three years, achieving 500 MW by 2019. 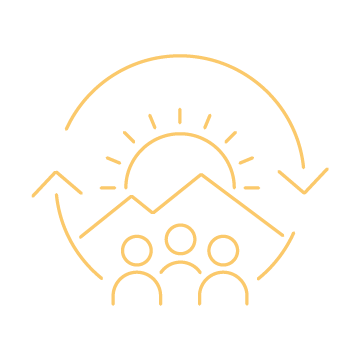 We seek to increase the value proposition for solar, direct benefits to low-income communities, and increase capacity of communities around the region to educate and organize around solar opportunities. Solar Plus is a project funded by the U.S. Department of Energy through the Washington State Department of Commerce. This material is based upon work supported by the U.S. Department of Energy’s Office of Energy Efficiency and Renewable Energy (EERE) under the Solar Plus Strategies for Oregon and Washington award number DE-EE0007665. Solar Plus envisions a future where the benefits of solar energy are equitably expanded to all including renters, households with low incomes, communities of color and all ratepayers. Solar Plus will create a shared vision and strategies to sustainably grow the solar industry through local workforce development and high quality jobs. 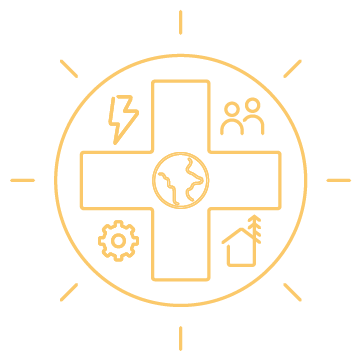 Solar Plus will contribute to emergency preparedness and enhance resiliency through demonstration projects that integrate solar with energy storage, as well as other complimentary technologies and strategies. Solar Plus is making solar energy more inclusive through new ownership models and targeted strategies to create opportunities for communities that have not been reached.